This book deals, mainly, with living, the best possible way. It's a set of rules to make life easier. There are ten (plus bonus) statements that act as triggers and provide an alternative to address a situation from a different perspective. Provided problems don't magically disappear, neutralizing them is the only solution. There are ten tools that will help us to get rid of depression, anxiety, anger, and frustration quickly and effectively. How? Breaking the patterns we fall into every time we feel distressed. By breaking the process, we prevent it from getting worse and regain control over emotions. I don't intend this book to offer readers nothing else but pearls to help them live a better life. I've tried them personally, and I can tell they work. All you need to do is remember the statement that moves you and fits you best (or write it down on a notebook) and bring it to your mind every time you feel a situation is getting out of your control. It's a simple mechanism. There's no need to invest long hours reading. All you have to do is try. The recall will activate a new neural path that will set you free from old patterns, directing you toward a new, more fertile, and liberating one. I have included stories that were part of my experience. 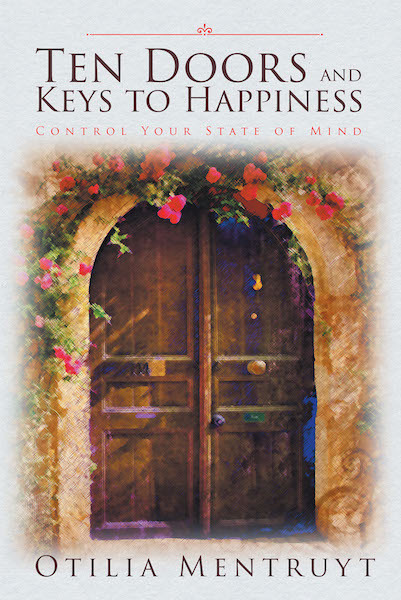 They are signalized by icons and quotes which are “keys” that open doors to a new, more peaceful, and happier life. Of course, these are keys that open doors. Going through them is a personal choice. I hope we never have to remember Jorge Luis Borges's quote: “I have committed the worst of sins one can commit . . . I have not been happy."